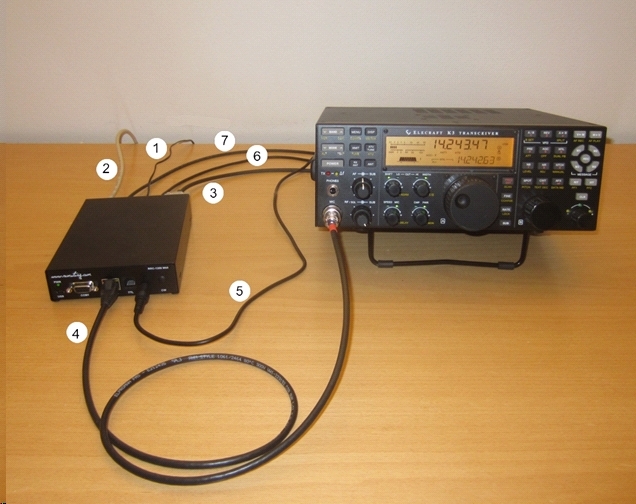 The Remoterig RRC-1258MkIIs Elecraft K3 Twin is a package for the Elecraft K3 Twin concept which is a high end concept for the serious ham who do not accept any compromise even when remote controlling his station. The Concept is developed in cooperation with Elecraft which have implented a special protocol to communicate with/over the Remoterig system. The cooperation is a guarantee for the system to work perfect, witout any limitations in functionality. 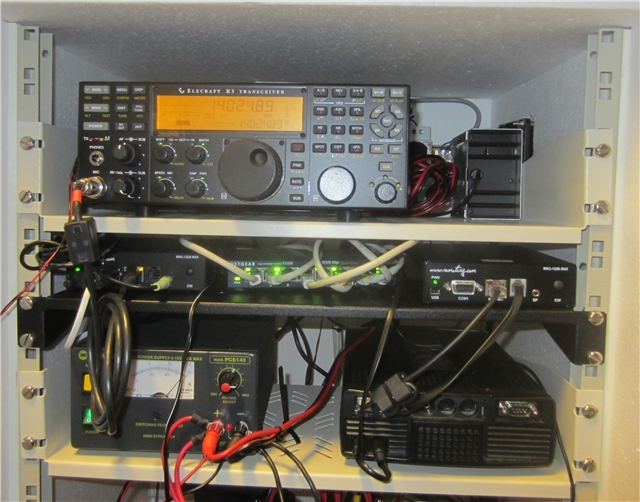 The system is based on the use of two Elecraft K3:s which are connected together with the Remoterig system. The K3 used for control can be a K3/10 without any options or the specially designed K3/0 (which is available since Jan 2012), even if it controls a fully equiped K3/100 at the remote site. The standard K3 firmware is used ( from v4.47), no special firmware needed. RRC-1258MkIIs Elecraft K3 Twin is a complete package with hardware and software for the Elecraft K3 Twin Concept. All needed cables are included and strapping is done with small PCBs (included), only IP-configurations etc. is needed. No radio is included of course. For prices check our web shop site or your distributor. The K3 twin concept can be setup with the ordinary RRC-1258MkIIs also, if you make the cables by yourself. Att! Do not try to update the firmware in the remote radio remotely it’s not possible. Logging or computer control, RTTY etc. 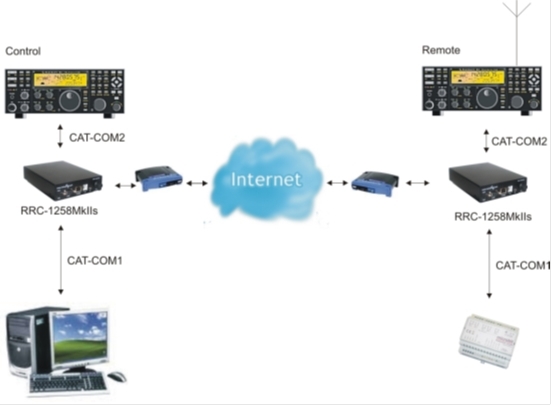 Even if the CAT connector at the Remote K3 is occupied with the communication between the two K3:s it is possible to connect other equipment to the system due to an intelligent CAT server functionality in the RRC.s. If you need to connect a antenna switch for example which need to talk to the remote K3 you can connect it to the Radio-RRC COM1 like the Webswitch on the picture below. 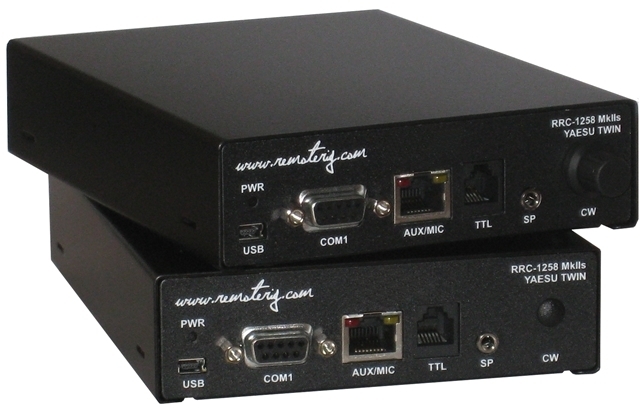 If you want to connect a logging or PC-control software to the system you can connect it to the Control-RRC COM1 via RS-232 or USB and configure the RRC to transfer the port. Then all commands go to and from the Remote K3 over the network. You can still use the remote antenna switch as described above. Independent of the connections above you can use the K3:s FSK transmission. The PC with the RTTY software is connected to the Virtual USB port COMFSK. And one of the outputs is used to key the radio. 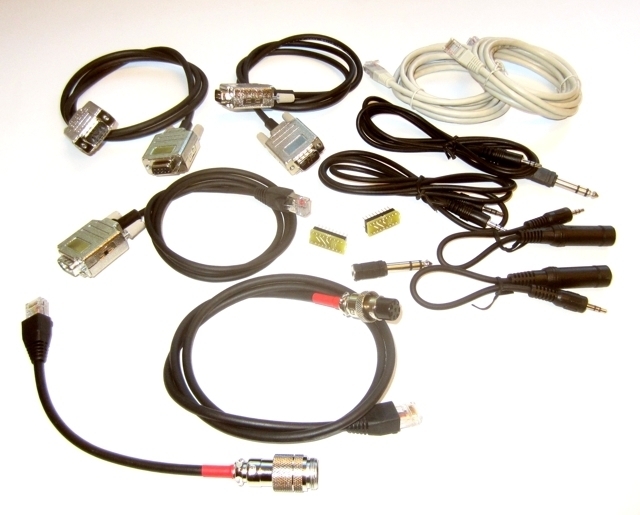 The supplied ACC cable are wired to key the K3 FSK input. The picture shows my installation with the K3 and a TS-480 as a spare. All in a issolated cupboard with heaters and cooling fans.